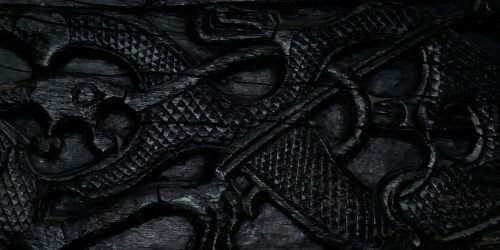 This October Wardruna will release the third and final part of their rune-based trilogy entitled “Runaljod – Ragnarok” and will do a small tour to support it. Enslaved was formed in 1991 by Ivar Bjørnson and Grutle Kjellson, and did their first demo “Yggdrasill” in the summer of 1992, while the legendary mini-album “Hordanes Land” was released the year after in 1993. Enslaved’s debut “Vikingligr Veldi” came in the spring of 1994, while the successful second album “Frost” was released already winter 1994. In many ways “Eld” (’97) marked the opening of a horizon-widening era for the band, with a small detour on “Blodhemn” the following year: Enslaved’s most furious and black-edged effort to date. “Mardraum (Beyond the Within)” was released in 2000; taking on an experimental and innovative approach for Extreme Metal. The band followed up with “Monumension” in 2001; receiving more (pleasantly) surprising positive response to their “no rules” approach to Extreme Metal. Many see an important milestone being “Below the Lights” (’03) – where the progressive yet darker Enslaved emerged. A new line-up was put together after the recording of “Below the Lights”, marking the opening of a new, shimmering chapter. 2016 was the band’s 25th anniversary – which the band celebrated with tours, festivals and special 2- and 3-night shows (where sets were based on divisions of songs by timeline). It was also the year when debut “Vikingligr Veldi” and collection of rare material “The Sleeping Gods” was released through By Norse Music (co-owned by Ivar Bjørnson). At the end of the year, longtime keyboard Herbrand retired as a performing musician. The train that is Enslaved does not stop for anything though, and their new album “E” was released in 2017, with subsequent touring in Europe. The Nordic-folk trio KAUNAN breathes new life into old traditional Scandinavian music and re-awakens the ancient realms of pre-Christian folklore by using very old songs and tunes, odd scales, folk instruments like kontrabasharpa, hurdy-gurdy, various lutes, lyre, bagpipes and tales about the old Nordic myths. After nine years of performing and collecting song material, their debut album entitled “FORN” was released on October 13th on By Norse Music. KAUNAN is Oliver S. Tyr (Ger), Boris Koller (Au) and Göran Hallmarken (Swe). Oliver S. Tyr is the frontman of the well-known German folk band FAUN. Boris Koller is a professional painter and composer who specialize on the old types of Nyckelharpa (Kontrabasharpa, Gammelharpa). He has contributed to numerous studio productions and concerts with early music ensembles. Göran Hallmarken is one of the most outstanding hurdy-gurdy players in the Swedish folk and medieval music scene. So far, KAUNAN have played concerts in Germany, Sweden, France and the Netherlands. Audiences were left fascinated by their virtuous performances, but also with the drive and archaic power of their interpretation of the old songs. They also supported Wardruna on their European tour 2017. KAUNAN doesn’t simply play a Polska; they celebrate it, with almost religious passion. Their debut album features contributions by great guest musicians such as Einar Selvik (WARDRUNA), Maria Franz (HEILUNG and SONGLEIKR) and the Swedish percussionist Dhani Åhlman. With a booklet rich in illustrations, photos and background stories about the folklore traditions behind the songs, “FORN” opens a door to the ancient north like hardly any other album.